Really - the red object in his paws is a Popsicle - a frozen treat with oranges embedded inside. 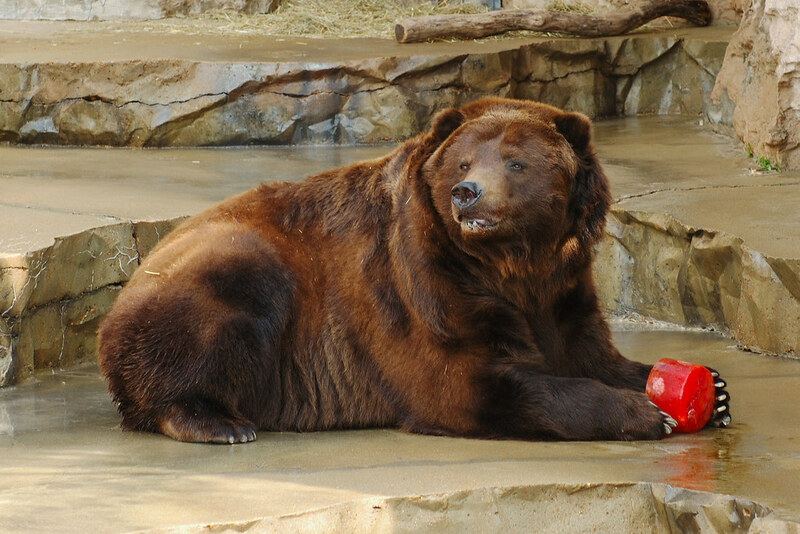 It was treat time at the bear exhibit and we watched him play with and devour his popsicle. That is one popsicle no one is goign to steal!! The color is so deep & rich on this. He looks HUGE. What a pretty bear. That must have been something to watch. So cute!! Love his popsicle!! That is one heck of a popsicle! Awesome shot!